Designing Laird’s BL600 into your system has never been easier. 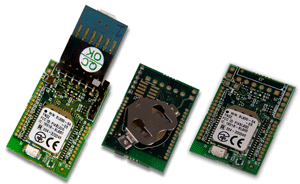 Laird now introduces the Bx600 breakout board series, joining alongside the DVK-BL600 development kit. All allow you to connect to and program the BL600 from Windows, OSX, or Linux via UwTerminalX software. The Bx600 breakout boards provide a streamlined approach for simplified BL600 prototyping in as little as a tenth of the cost. 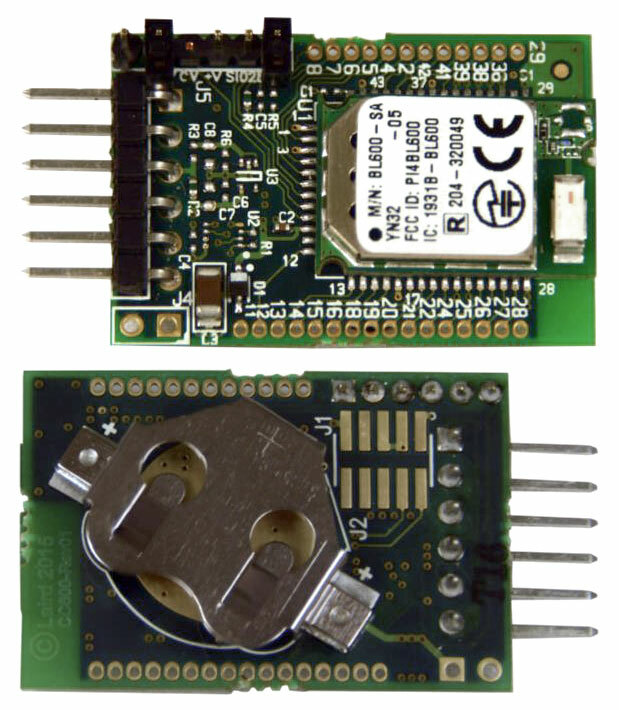 They come in three packages: basic breakout board, board with coin cell attachment, and board with coin cell attachment and USB-to-UART adapter. The DVK-BL600 contains a wider variety of hardware components such as interfaces, sensors, LEDs, and power options. Laird’s new UwTerminalX software takes UwTerminal to the next level, bringing smartBASIC to all desktop environments. UwTerminalX (Windows / Linux / OSX) lets you control the BL600 in command mode and compile, load, and run smartBASIC scripts on the device. Companion apps for UwTerminalX include MultiDeviceLoader, which lets you deploy a script to as many as ten devices at once, and TermNotify, which enables connection alerts and status info from the OS system tray. All of this is hosted on GitHub, so you can modify the project to meet your needs. Laird’s support team is always standing by to provide integration support, analysis, and troubleshooting for all currently supported hardware. Working in the same offices as Laird engineering, Embedded Wireless Support is your personal bridge to all of Laird’s software, experience, and expertise. Laird guarantees a fast response and is dedicated to seeing your product through design to manufacturing. And our online support center serves as an archive of many common questions, as well as hundreds of support documents and software files. 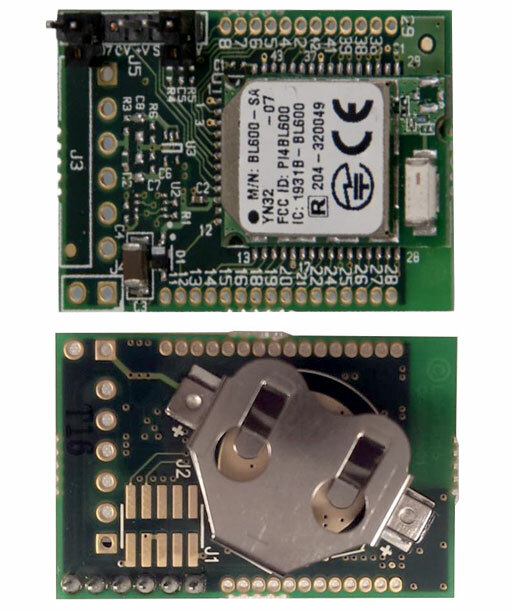 Integrated Antenna Any that can be implemented with smartBASIC v4.0 Single Mode Nordic nRF51822 Through-holes 1 Mbps (over the air) 3.8 mm 33 mm 22 mm 2.4 GHz UART +4 dBm From 600 nA to 11.6 mA 8.5 tp 8.9 mA 5 to 11.6 mA Any that can be implemented using smartBASIC Up to 100 m UwTerminalX terminal software Bluetooth v4.0 Peripheral Mode Breakout board with coin cell holder attached. 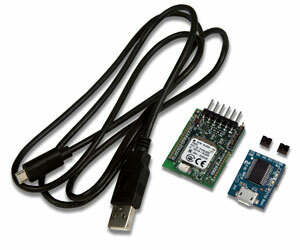 Allows flexibility of power and mobile deployment for prototyping low-power solutions. 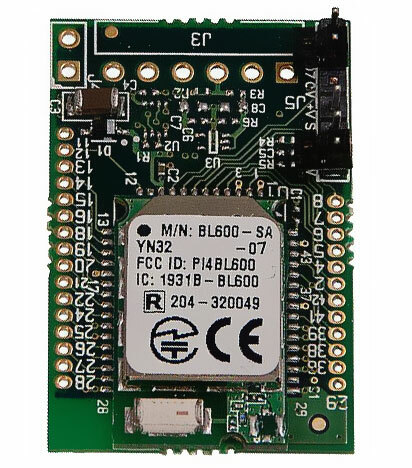 Integrated Antenna Any that can be implemented with smartBASIC v4.0 Single Mode Nordic nRF51822 UART Pins (includes USB-to-UART adapter) 1 Mbps (over the air) 3.8 mm 33 mm 22 mm 2.4 GHz UART +4 dBm From 600 nA to 11.6 mA 8.5 tp 8.9 mA 5 to 11.6 mA Any that can be implemented using smartBASIC Up to 100 m UwTerminalX terminal software Bluetooth v4.0 Peripheral Mode Breakout board with coin cell holder and USB-to-UART adapter. More flexible development with a PC, especially applications like vSP.